Unlike many motorcycle lifts and paddock stands available on the market today that simply rely on a "universal" fit system our main products the Sky Lift, Superbike Stand and Front & Rear Package 2 all use our "bespoke" abba fitting kit system. abba's bespoke fitting kits have been designed, tried and tested on each motorcycle to ensure they fit correctly and are safe to support your pride and joy. Modern day motorcycles are very diverse machines and with major differences like conventional swing arms and single sided swing arm models a "universal fit" approach not only compromises the number of bikes that it can be used on, but more importantly it compromises the safety of the product. 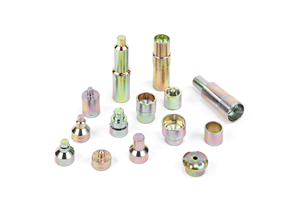 We have been manufacturing our unique fitting kits for 25 years! Every year we add to our range when new motorcycle models are released. There are now in excess of 100+ different abba fitting kits allowing our products to be fitted to over 350+ different motorcycles. How do the fitting kits work? The swing arm pivot on most motorcycles consists of either a nut/bolt head or a hollow/hexagonal centre hole. 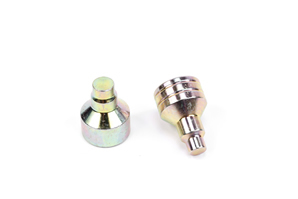 Depending on the design of the pivot itself our fittings are designed to fit either over the nut head (in a similar way to fitting a socket over a nut/bolt head) or inside the hollow or hex hole via a correct size fitting pin. The picture below (right) show the abba Superbike stand with its standard fitting attached. 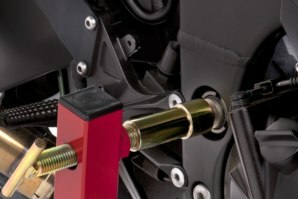 The picture below (left) shows the stand in use on a Kawasaki ZX10R using a fitting that inserts inside the hex key hole, as you can see the stand only touches the pivot bolt itself and no part of the painted frame or swing arm. So what are the main advantages of abba's bespoke fitting kits? A "Safe fit" is the number one answer here. When purchasing an abba product you can be confident that is has been tried, tested and in most cases already used on your exact bike by thousands of other bikers worldwide! They are simple to interchange. Fittings can be changed on the stand in less than 10 seconds! If you have more than one bike, using our stand or lift on multiple bikes is quick and effortless to change between models. Knowing that the product will be 100% fit for purpose on your particular motorbike. No need for any modifications. Some motorcycle stands and lifts require extra non OEM parts to be fitted to your bike before use. These can be complicated to fit without specialist tools and knowledge, make a bike look unsightly and can often invalidate manufactures warranty. abba's fitting kits stay connected to the Stand/Lift itself and are not fitted to the bike. When the abba stand/Lift is removed you would never even know it had been fitted! If you change your bike, simply purchase a new fitting kit for your new model. Buying an abba product is an investment and your stand can be used on over 350+ different motorcycles and counting. No other Stand/Lift on the planet comes close to being able to fit so many models of motorcycle - FACT! So their must be some disadvantages of a bespoke fitting kit? Ok, there is one minor disadvantage - Cost. 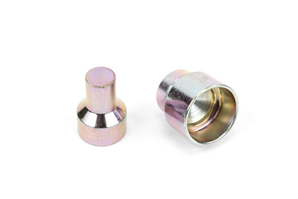 If you change your bike, you will more than likely need to purchase a new fitting kit. 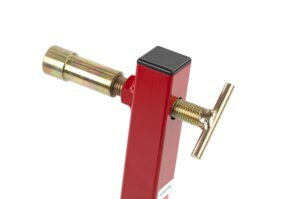 However, with the majority of our fitting kits costing $35 (including Shipping) its a small price to pay to know that your stand or lift will fit securely again to your new pride and joy. A few bucks spent here could save thousands when compared to an accident using a universal fit product. Above all else, please remember when purchasing from us you can be sure that you will also receive a "service". A real human with full technical knowledge of the product is only a phone call away should you need assistance! If you need any more specific information on our fitting kits or have any other questions please feel free to contact us.